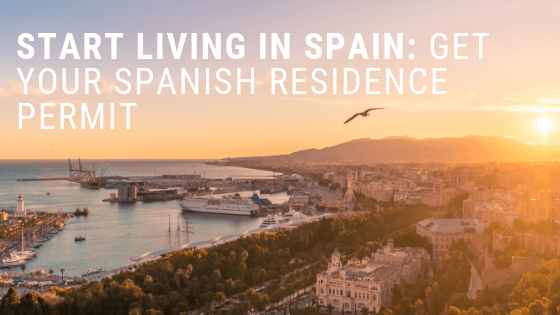 Are you a NON-EU citizen who is planning to start living in Spain? Then you will need to get a residence permit in the country. The question is, how to do it? There are different kinds of residence permits in Spain. And, depending on your situation, applying for one or for another would be more advisable. We will help you get all the documents and send them for you to the relevant authority. You will just need to sign, the rest is on us! Spain is a delighting country. If you think about live quality, the country pops up to your mind instantly. Why? Well, you have everything you may need: a delicious cuisine, perfect weather conditions, a charming vibe, culture and a varied landscape: mountain and sea. Therefore, it is completely understandable that it is one of the prefered destinations for citizens worldwide. So you too, like them, would like to start living in Spain. But, how to do it? Under which circumstances you will need a visa in order to stay in Spain? DO YOU ACTUALLY NEED TO APPLY FOR A RESIDENCE PERMIT? It’s simple. If you are a citizen from a European Union country or from the European Economic Area (EEA) or from Switzerland, you just need to get your Identification Number in Spain, but a visa or a residence permit won’t be required in order to stay legally in the country for the long run. Apply for a short-term visa. The short-term visa or Schengen visa allows non-EU citizens to stay in the country for 90 days. Get the temporary residency. If you are planning to live in Spain for the long-run, this is the option you should apply to. 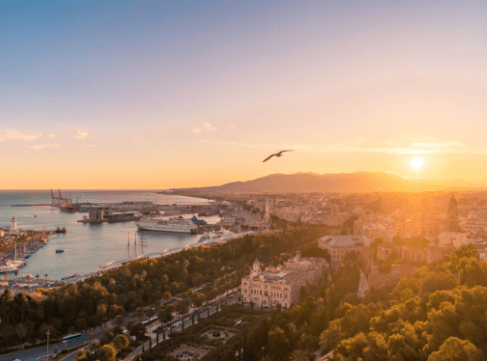 The temporary residence allows you to stay in Spain legally for the long-run, for more than 90 days, but from less than 5 years (period in which you will need to get the permanent residency or nationality). The temporary residence requires you to apply for a residence permit. One of the upsides of applying for a visa in Spain is that in most cases you can do a joint application. This means that at the same time that you get your residence permit, you can also get the temporary residency for your family, so the can also obtain the legal status in the country. Let’s say that you do not want to work in Spain. You would like to retire in the country, or you just have enough means so that you do not need to embark in any economic activity. Then, the retirement or non-lucrative visa will be the best option for you. Just demonstrating that you have sufficient funds to live in the country will let you obtain this permit. Can you set up a company and get the residency at the same time? With the entrepreneur visa, you can. If the project that you would like to start in Spain is of economic interest for the country (demonstrated through the business plan), you can easily have access to this permit as a self-employed worker. Our business lawyers will assist you in all steps to set up your business in Spain and with your tax optimization. Many of the residency permit application procedures can be tough: a lot of documents and requirements. In order to solve this situation, the Golden Visa was created. You just need to invest 500.000€ in Spanish real estate and you will easily get your residency. The investor permit may be one of the easiest ways to start living in Spain. Do you want to do your masters or Ph.D. in Spain? Are you planning to conduct any kind of research in the country? Then the student visa is for you. This residence permit allows non-EU citizens to study or conduct research in Spain. You can also do an internship with this visa; and transition towards a work visa afterwards. Depending on your situation and the job offer you have, there are different types of work visas you can apply to. For instance, if you have a job offer as a highly qualified worker, the procedure to get the residence permit will be a different one than if you just have a regular offer. In this last situation, it will be your employer the one who has to request for you the residence permit. WHICH ARE THE REQUIRED DOCUMENTS AND CONDITIONS NEEDED TO APPLY FOR A SPANISH RESIDENCE PERMIT? Now you have all the options you have in order to start living legally in Spain and obtaining the temporary residency. The question that immediately pops up is: how to do it? Which is the required documentation I will need to provide? Which conditions do I need to fulfill in order to be eligible? The first thing you should do is to get your NIE NUMBER. The NIE is the basic identification number every expat needs in order to start a legal procedure in Spain. Opening a bank account, buying a property, acquiring a car or even applying for a regular residence permit will require you to have this document. Both EU-citizens and non-EU citizens need to obtain the NIE. Show proof that you have sufficient funds in order to sustain yourself in the country. Demonstrate that you don’t have criminal records in your background for the last years (not just in Spain, but in any country). Having health insurance with full coverage throughout the whole country, no matter whether it is public or private. Documents that your concrete residence permit demands. Following all the steps required to get a visa in Spain can be really boring. How can you make sure that you know all the required documentation? How can you make sure that your application will be approved no matter which is your concrete situation? Where should I send the application? The good thing is that you don’t need to worry about that. You can let us do the boring part for you. Our specialized immigration lawyer team will help you get your residence permit, making things easy for you. Our mission? Get your visas as fast as possible, making you enjoy the process of your new life in the country. We don’t want you to be worrying about paperwork or documents. We will do that for you. No matter which is your country of origin and your situation, we will analyze your situation and determine, not only which is the right permit for you, but also which are the required steps for you to successfully apply for a visa. Then, our lawyers will effectively prepare all documents to ensure obtaining the residency permit that best suits your needs. We will just make you sign! We have helped over 1000 clients successfully over the years, and now we want to help you create a new life in Spain. We want to be the ones next to you throughout the whole process, assisting you in anything you may need. Do you have any questions? We will be glad to answer them!